Synonymous with Budd, we have long been a nightwear hotspot. Maybe this is due to our wonderful collection of fabrics and colours, or perhaps it is thanks to its superb comfort. 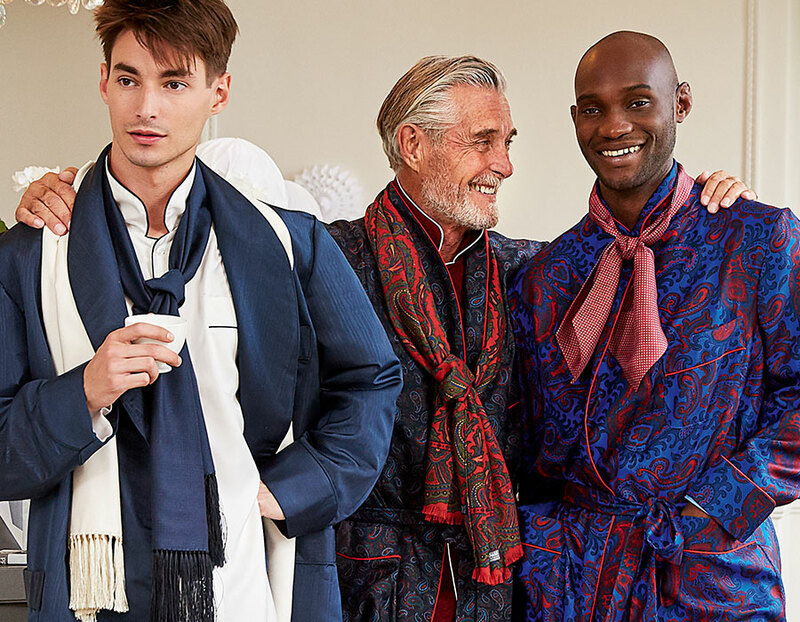 Some of you might recognise our pyjamas from the film Phantom Thread, where protagonist, Reynolds Woodcock, spent an awful lot of time in them. "Anyone can get dressed up and be glamorous, but it is how people dress on their days off that are the most intriguing." We make our pyjamas in London, cutting them in cloths that range from our most popular, luxuriously light Batiste, through to spun silk, linen, poplin and our Winter favourite, Cashmerello. 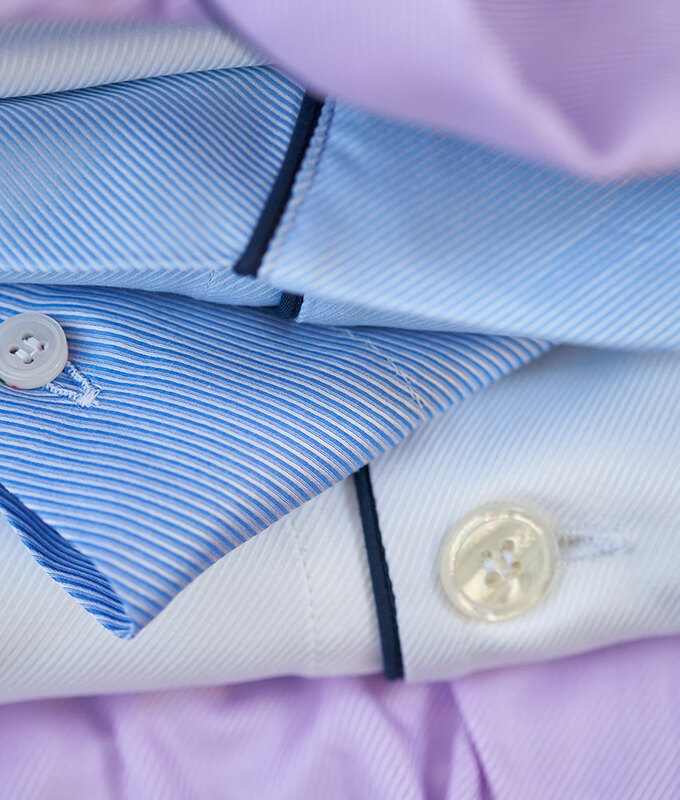 This cotton and cashmere blend will have you longing for the weekend. 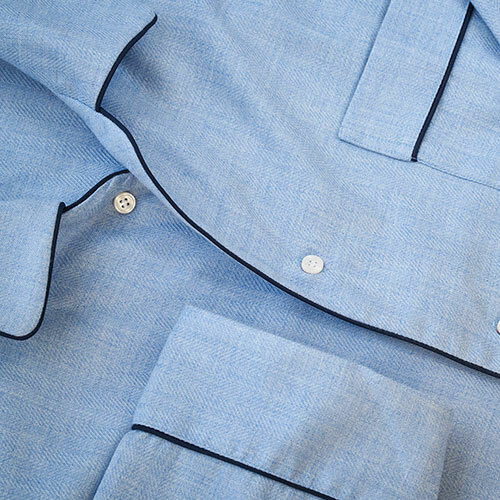 Each pair of Budd pyjamas is piped with a contrast edge, has a fly front and comfortable belt-tie waist. Our women’s pyjamas are designed not just for sleeping in, but to be worn at home AND at play. Designed and developed by Creative Director, Fanny Ward, our ladies' pyjamas have been worked and reworked, tried and tested for perfect fit, comfort and purpose. In fact, coming to work in pyjamas has become something of a regular occurrence within the company. 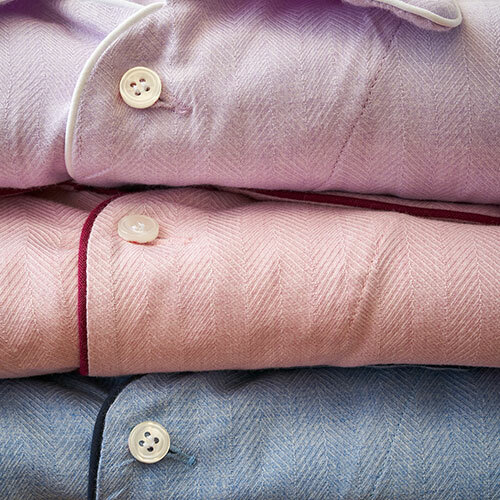 Generously cut “for men, not boys,” Budd's nightshirts have a loyal following, thanks largely to their comfort and simplicity. Not to be banished to the realms of Wee-Willie-Winky or Ebenezer Scrooge, they should be embraced for the freedom and cool that this timeless classic offers. A nightshirt may not seem hip, but it will soon become your guilty pleasure. "Never wear anything that panics the cat"
Every chap needs at least one dressing gown in his wardrobe. In fact, in an ideal world, he should have at least two or three. There are classic, light weight linen and cotton gowns for holidays, warmer days, or when you are fresh out of the shower. Then there are cosy silk, wool or cashmerello gowns to feel smug on Sunday mornings and Wintery nights.